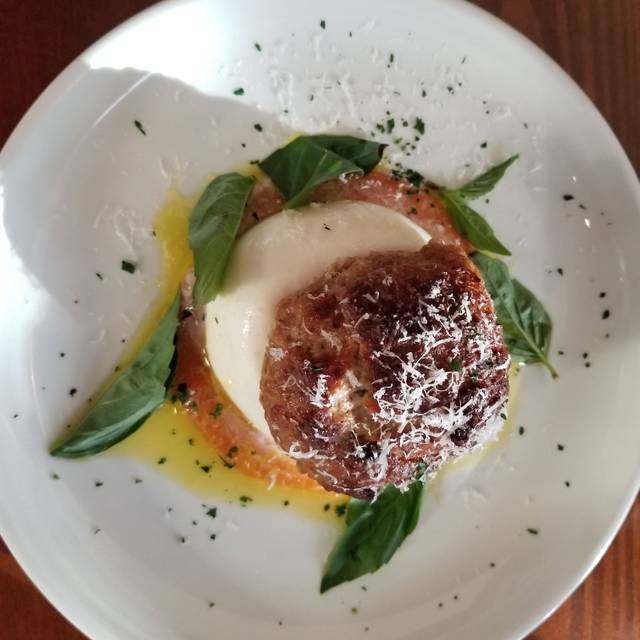 Located in a casual space in the historic Monte Vista neighborhood of San Antonio, we aim to be a neighborhood restaurant serving simple, honest and approachable food and drink, mostly influenced by Italy and the American South with a little smoke thrown in for good measure. Reservations recommended but not necessary. For larger parties or if you don't see a time you like; please call the restaurant directly. The food was fantastic. Great selection of local beers and eclectic cocktails. The lamb crepes were off the charts. Fabulous! Food is always fantastic. Don’t pass up the crispy lentils or creamer peas. Smoked roasted chicken and catfish are a must. Actually, everything on the menu is great! Loved this neighborhood spot! Food and service were very good. Will definitely come again. Had a wonderful dinner here. We had the steak, catfish, and the risotto. All were really good. Starters we had the burata and apple salad- soo good! Great combination of flavors. Go- you won’t be sorry!! Nice neighborhood style bistro. Quiet and romantic atmosphere. Recommend for date night. Creative menu. Love it and will go back many times..
Well stocked bar liquors and wines ? Delicious chicken and the cauliflower salad was so surprising and wonderful!! There wasn't a plate we didn't love! We enjoy food, service, and a nice night out (when we venture out without children). Overall the food was tasty but all variables considered (food, price point, amount of food, menu, service) leads to an average experience. If you do choose to go, the risotto and chicken are tasty. Had a lunch reservation, but didn't need it that day. Great location and great food. Not a large selection, but what's there is done right. Had a chance to talk to the owner/chef and was very impressed. A nice place run by people who want you to be satisfied with the total experience. Looking forward to trying the dinner menu. Give Perifery a look, you won't be disappointed. 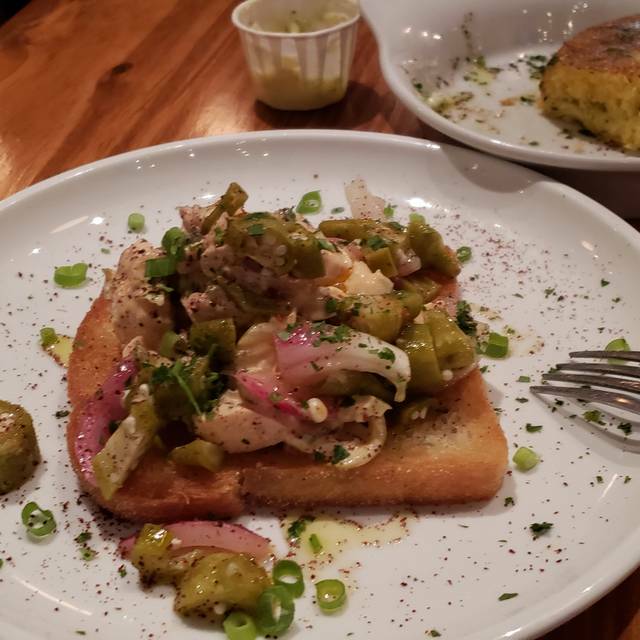 We had a lovely lunch; my wife had the smoked chicken salad on sourdough and I had the Cuban sandwich. Iced tea cake with the meals. Service was friendly and fairly quick (it was not crowded). 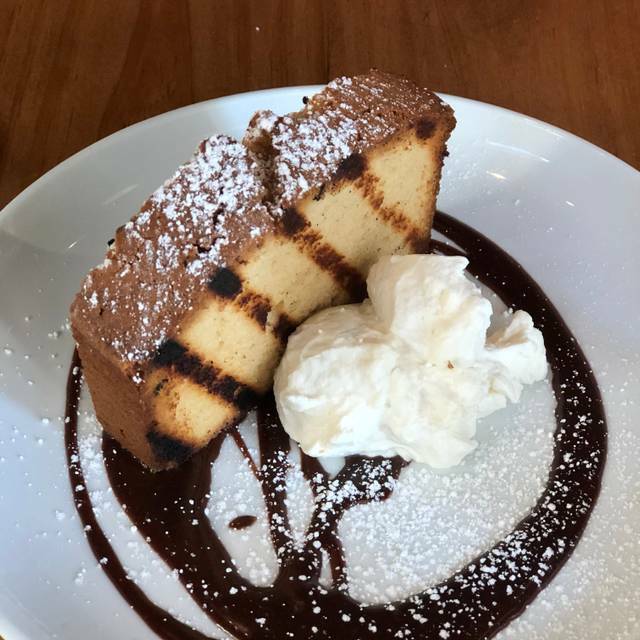 Shared a dessert of peanut butter pound cake — delicious! The food was tasty, well seasoned, and very moderately priced. The atmosphere and food are fantastic! The owner/chef, Mark, came out to check on us. Great experience. Delicious foods, properly seasoned and deftly combined, make a delightful meal every time. 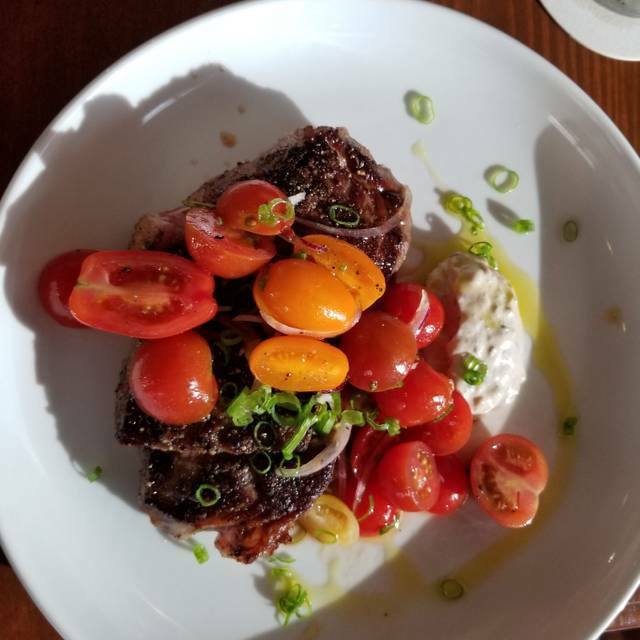 Have the Cauliflower Apple Salad, the Marcona Almonds and Olives, and the New York Strip - Wow! Come in, sit down, relax, enjoy! 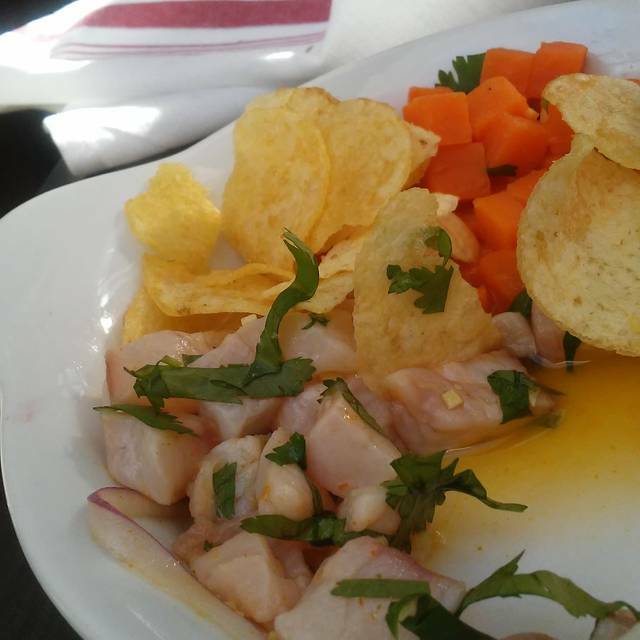 Innovative and excellent cuisine with great attention to detail. Pleasant environment and very good service. This was a fantastic dining experience. The space is viby and cool and situated in a great, older neighborhood. Simply the best Cubano I’ve ever had. We’ll be back. Live this place. Get the chicken and the roasted lentils. The service and food are always excellent. We also enjoy visiting the Chef/Owner Mark Weaver who alway checks on his guests. This has become one of our favorite restaurants! Great food & beautiful restaurant! Will definitely come back. Periphery is a five star experience. Innovative menu, fantastic food quality, and high attention to detail makes this a destination. Only hesitation in my review is food temperature upon presentation. I get the constraint; smaller kitchen with certain limitations for larger groups and when multiple protein dishes are ordered at once. No matter, our overall experience was quite amazing. Periphery has something very special to offer the San Antonio food scene. This was our second time, first time was good. I found a hair in the food, they didn't ask to replace the plate or apologize, they just took it off the bill. The rest of the food was fine. The place was empty. Amazing place! Food was incredible with tastes that just melt in your mouth. The service is great and you feel the center of attention from the minute you arrive. Reservations recommended. Periphery on Main is a little gem of a neighborhood restaurant that is always on my list of places to eat when I am in San Antonio. Food and service were great!! We went during Restaurant Week and decided to order off the RW menu. It was very good. I'd highly recommend this place for any occasion. Great ambiance and super nice staff...very friendly/welcoming atmosphere. Go here if you want good food and a great time! Trust me. Dinner at periphery was spectacular! The dishes were perfectly curated. The ingredients complimented each other and the resulting flavors were fantastic. I highly recommend dining here. Great interior and nice ambiance. The waiter was great and the food is creative. It is a small menu and vegetarian options are limited. 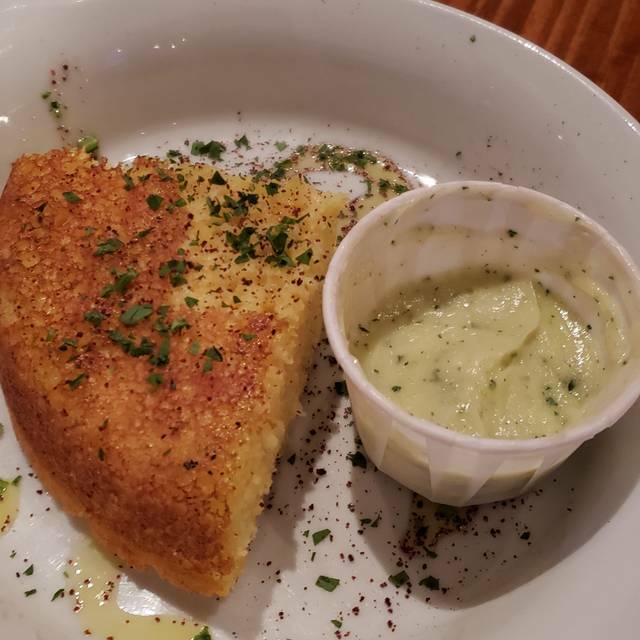 The food I ordered was fine, but I did not love it (differed from what I envisioned on menu descriptions) and it was very small for the price. 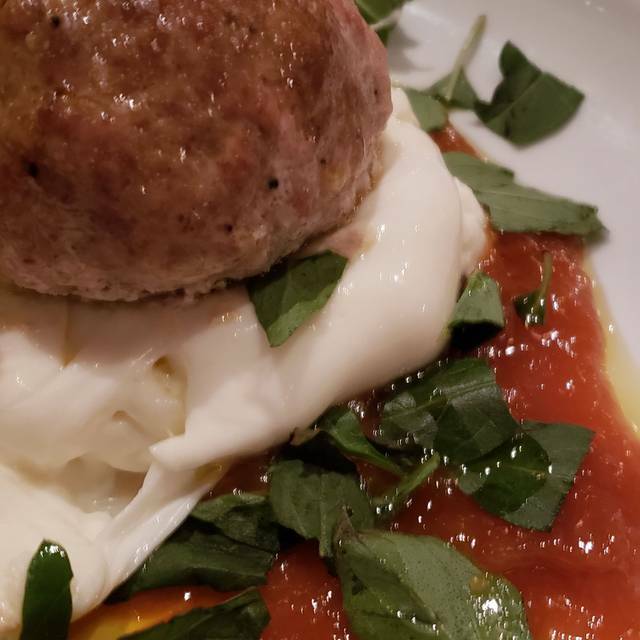 I love creative foody type places, and don't mind small plates, or expensive meals, but I just didn't like it enough to go back when there are so many other more delicious options. Disappointing.... very poor restaurant week menu. The cubano sandwich was excellent. The dijon vinaigrette on the salad was wonderful. And the glass of cold cava was perfect with both. The atmosphere was lively. We went here for Restaurant Week in January. While we are meat eaters, we ended up getting vegetarian dishes. The salads are really tasty. 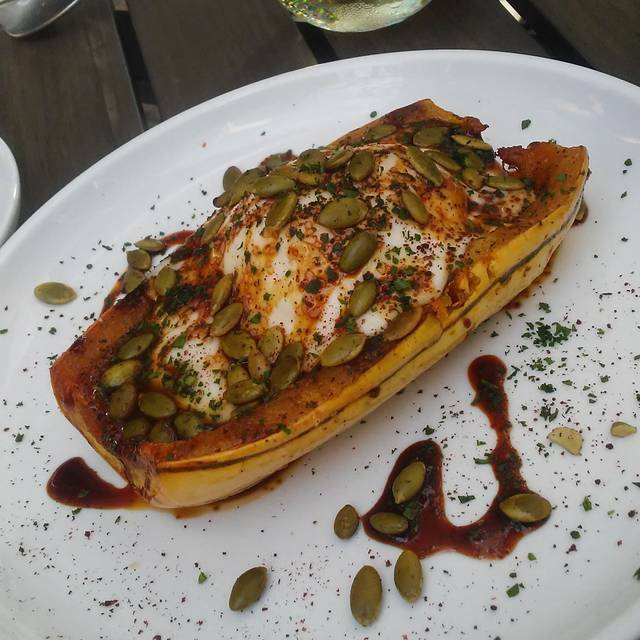 The squash burata is very rich, sweet and savory in flavor. The service was great - very friendly and helpful in making decisions on what to order. This place was a group favorite. The restaurant was small and quaint. The food was great and the ingredients were fresh. The menus is set up to share entree and sides. This cozy restaurant is delightful. 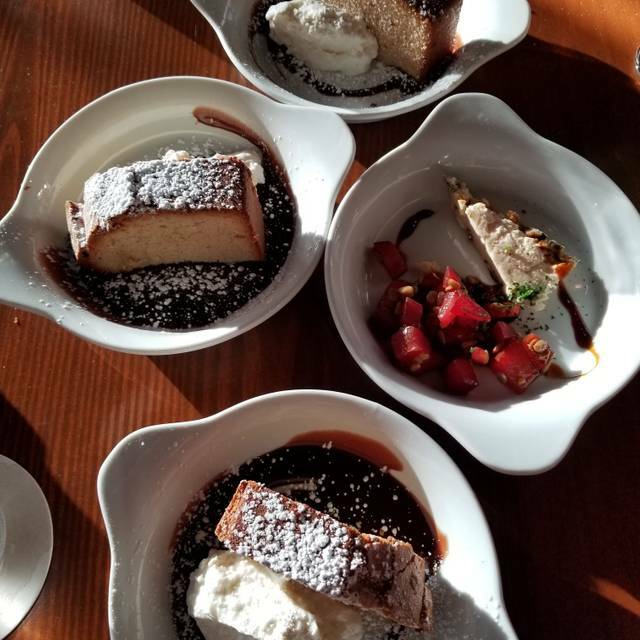 We enjoyed many items including the corn bread, mushroom bisque, roasted chicken, squash with cheese and pumpkin seeds, polenta and the very delicious peanut butter pound cake. The craft cocktails are also good! Try it! Excellent food and wonderful service. Highly recommend! Always consistently good food, service and cocktails. Perfect for a date night or friends get together. A real neighborhood gem. When in doubt, just go. Everything was great ! Crispy lentils, steak,chicken,warm dates , peanut butter pound cake!! Great meal!!! We had a little bit of everything and if we would have had room we would have tried the rest!!! Loved the panko pimentos cheese- and the stuffed squash was killer! We are always look forward to our visits at Periphery. And we always leave full & very happy. The food and staff always make us, & our pup, feel welcomed. A true neighborhood gem. We just had appetizers. The corn bread, the beef and barley soup were excellent. The warm date and Gouda cheese was a tasty surprise. We have decided to frequent the restaurant and try their different dishes. They roast a delicious chicken. Their greens with pickled veggies was a well-balanced side. A must if you dine here.